Costa Rica - Page 2. Last updated: 3/26/2007. 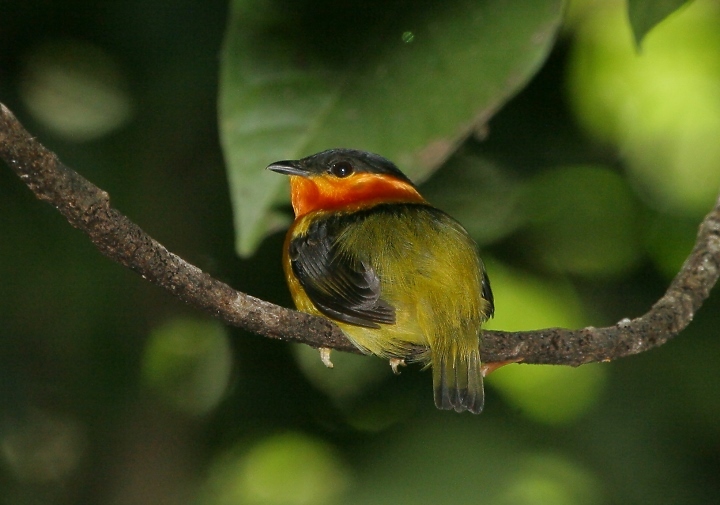 Above: An Orange-collared Mannakin takes a break near a lek at Carara. 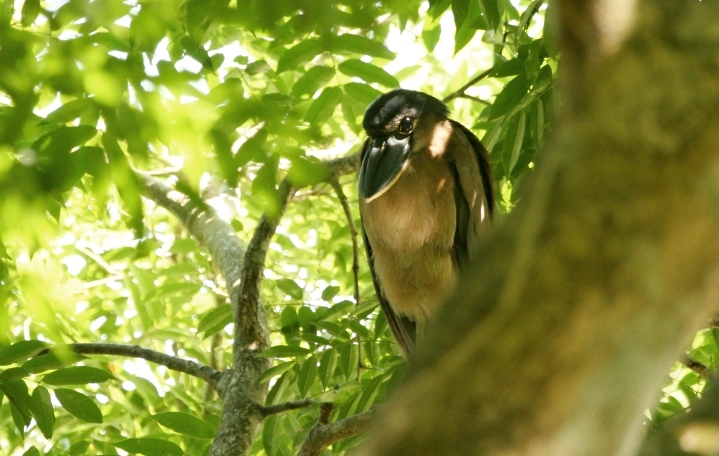 Below: A Boat-billed Heron at a rookey near the Rio Tarcoles. 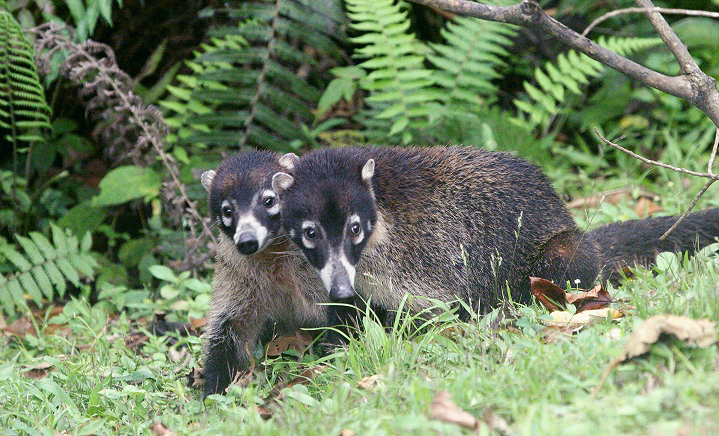 Below: A pair of curious Coatimundis (Coatis for short) check out a group of curious gringos (Santa Elena). 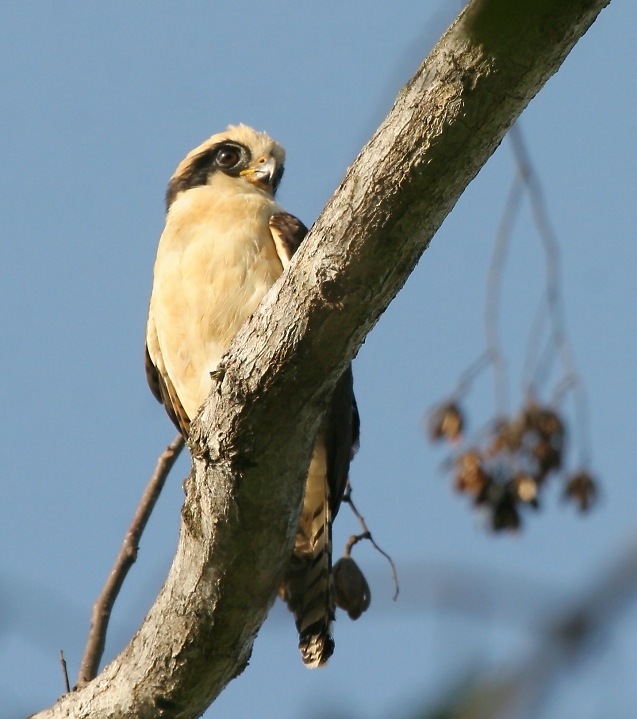 Below: A Laughing Falcon watches carefully for snakes, its main prey, on the Osa Peninsula. 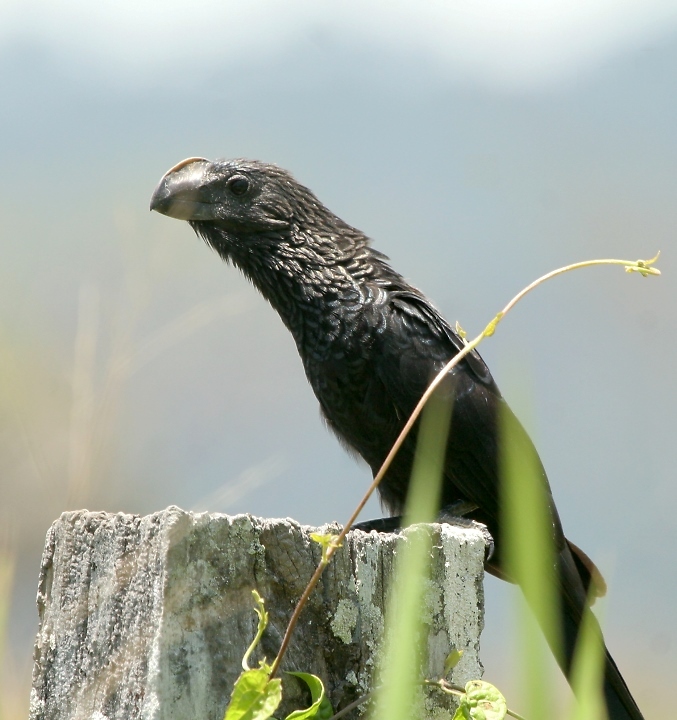 Below: A Groove-billed Ani rests along a fenceline near Jaco. 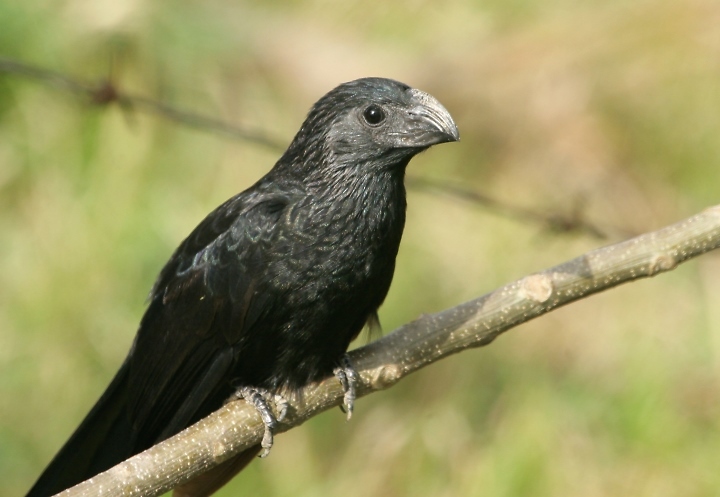 Below: Smooth-billed Anis replaced Groove-billed Anis as the common species on the Osa Peninsula. 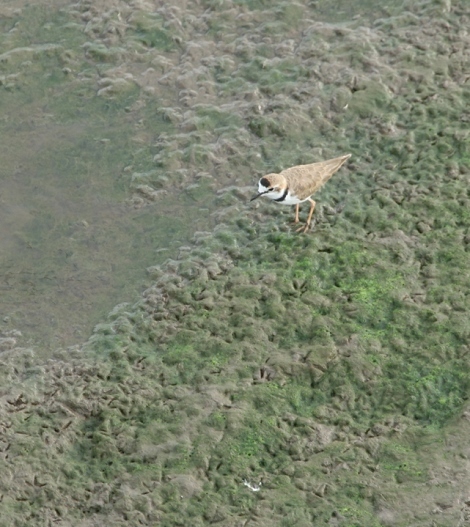 Below: A Collared Plover, as seen looking down from the Rio Tarcoles bridge. 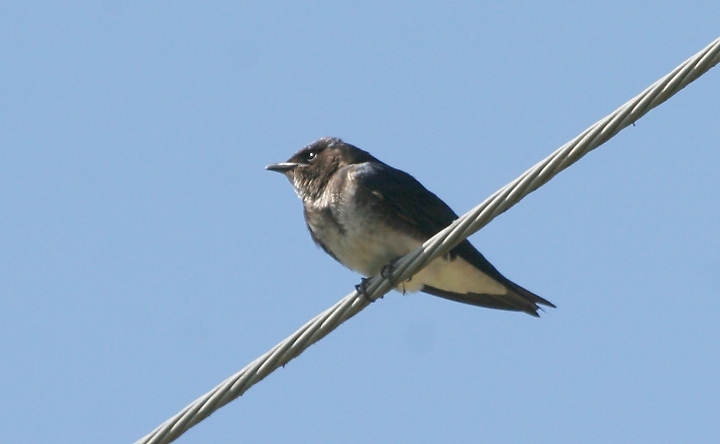 Below: A Gray-breasted Martin rests on a power line near Monteverde. 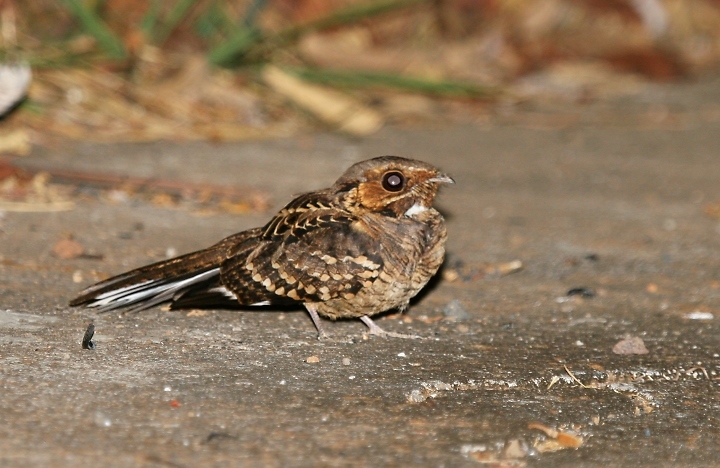 Below: This Pauraque was calling repeatedly and hawking insects from right outside our place in Grecia. 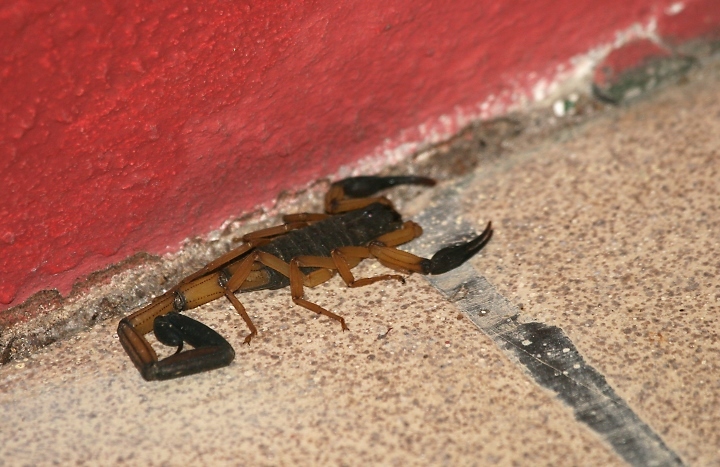 Below: Some neighbors were slightly less pleasant, such as this 4" scorpion we found next to my bed on our way back from checking out the 5" treefrog in our toilet. 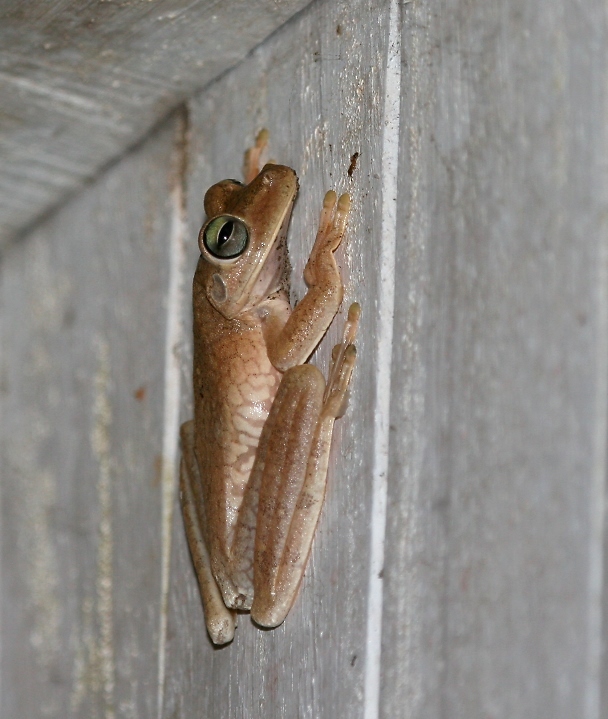 Below: The treefrog - Rosenberg's Treefrog - was actually quite lovely. Here is the same species on a more reasonable perch. 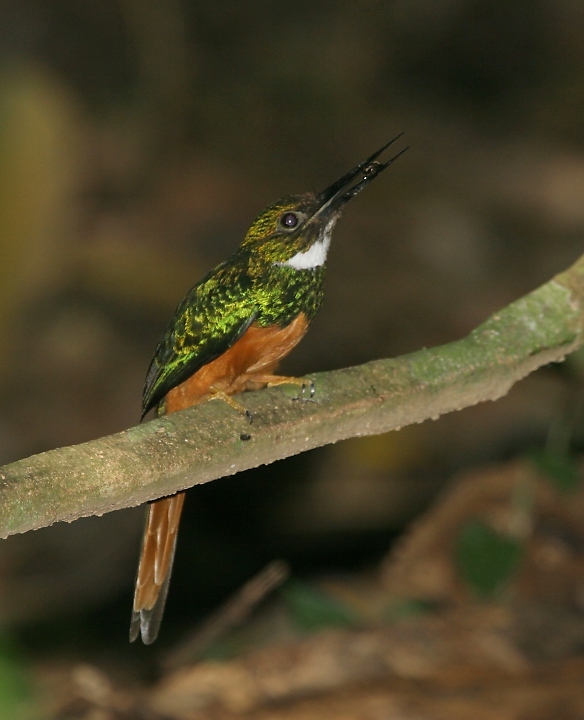 Below: The Rufous-tailed Jacamar waits patiently from a perch, then quickly bursts forward to catch a flying insect. It completes a graceful arc, landing in the same spot where it started (Carara). 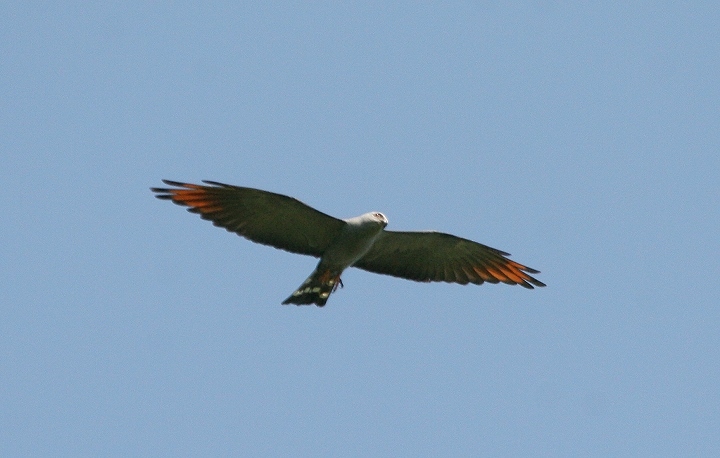 Below: A Plumbeous Kite soars gracefully over Carara. 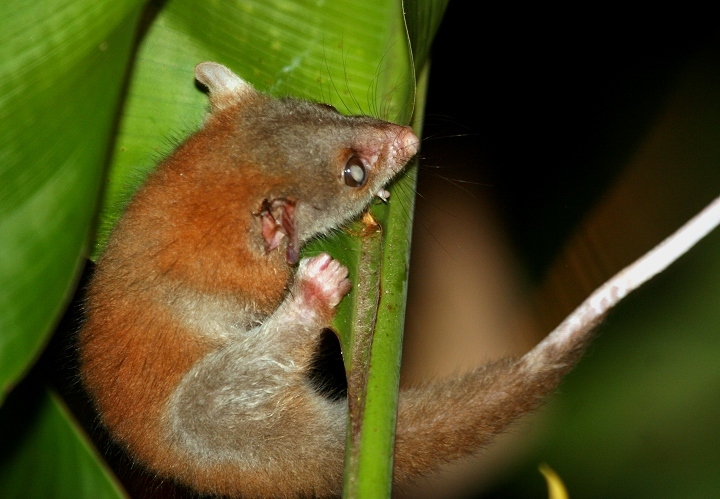 Below: This Wooly Opossum was found on the grounds of our place on the Osa Peninsula. 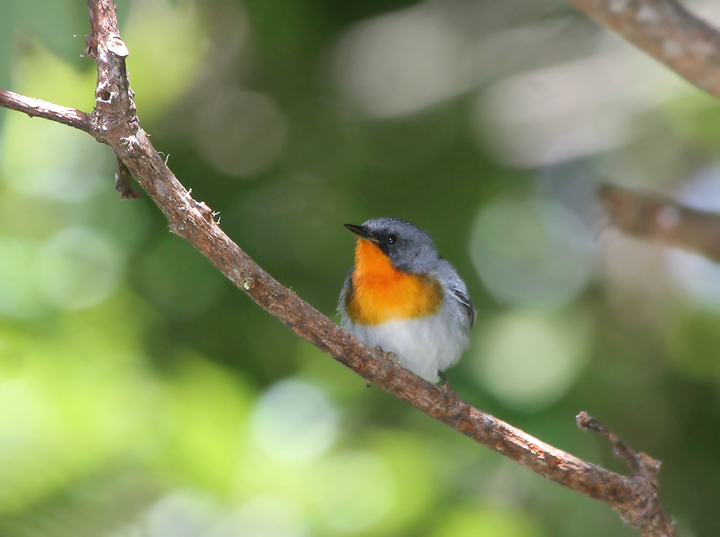 Below: A stunning Flame-throated Warbler near the town of Copey. 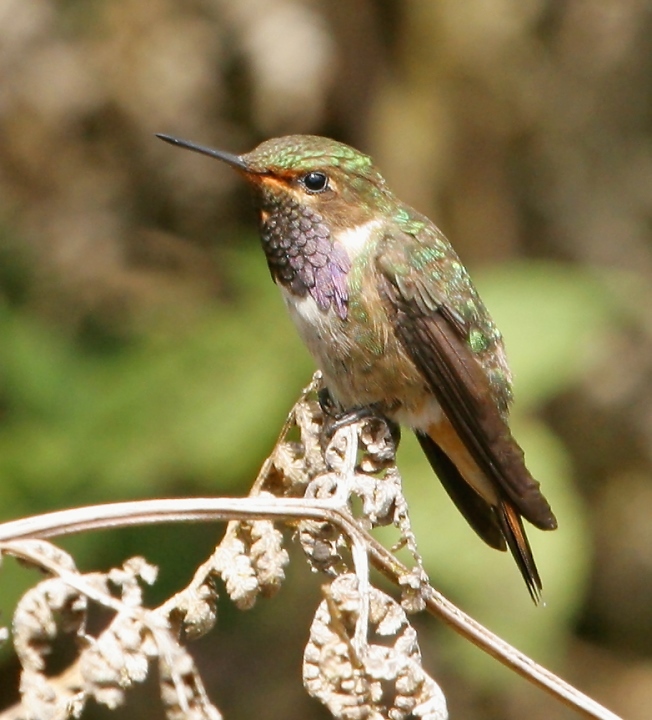 Below: A male Volcano Hummingbird poses beautifully near Cerro de la Muerte (literally, Mountain of Death). Below: Sometimes they seem to just want their pictures taken. 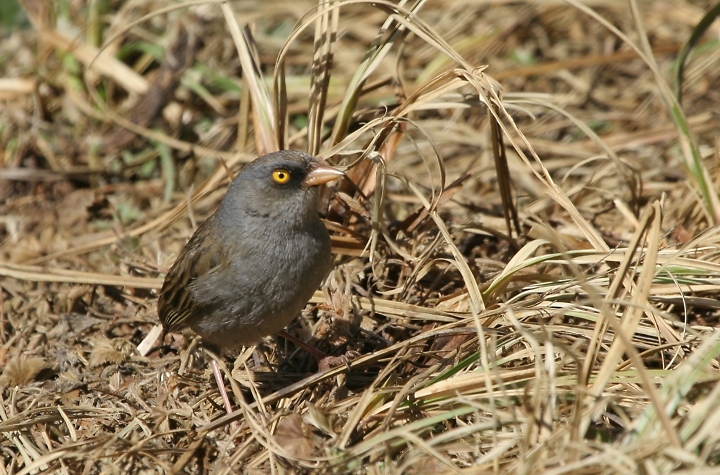 The Volcano Junco is found on the major peaks of the Cordillera de Talamanca, usually over 10,000 feet. Below: The trip was worth it for the butterflies alone. I will post samples of the galaxy of Costa Rican Lepidoptera throughout these pages. This one, a dartwhite, possibly Cloudforest Dartwhite (Catasticta cerberus), was photographed in the hills around Copey. 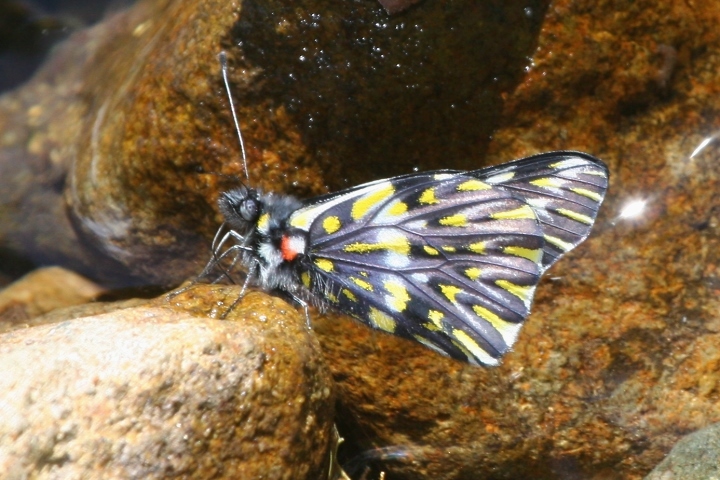 Thanks to Bob Ringler for ID assistance with Lepidoptera photographed on this trip. 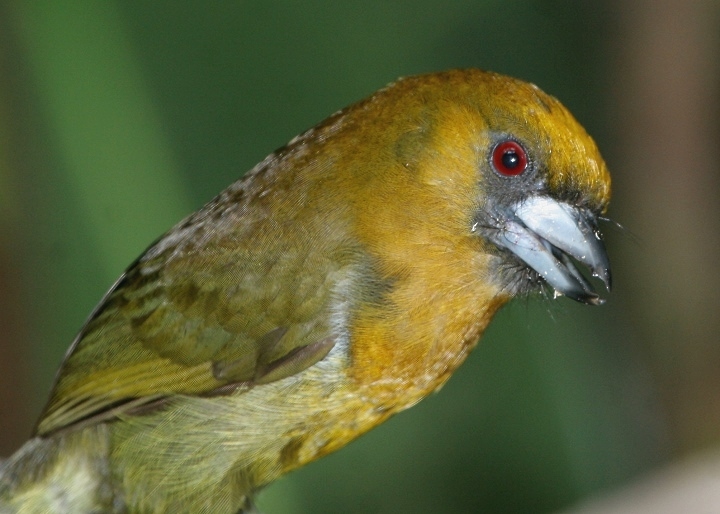 Below: A Prong-billed Barbet near the La Paz waterfalls. 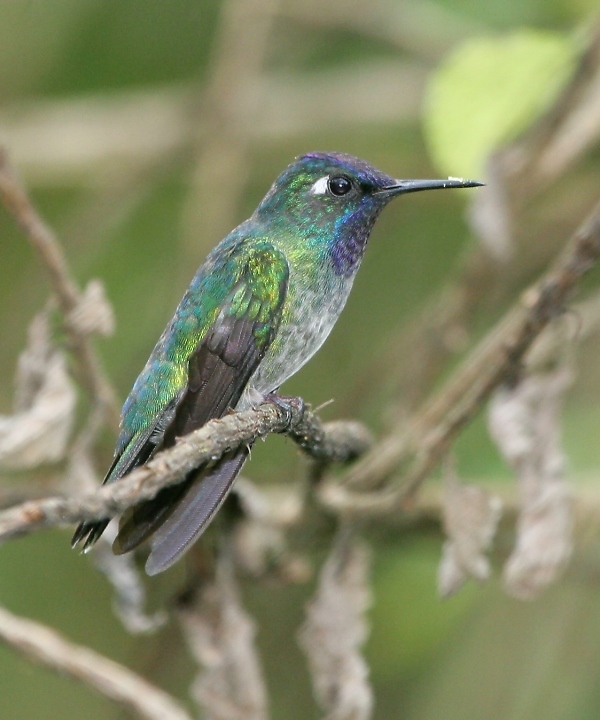 Below: A Violet-headed Hummingbird near Braulio Carillo. 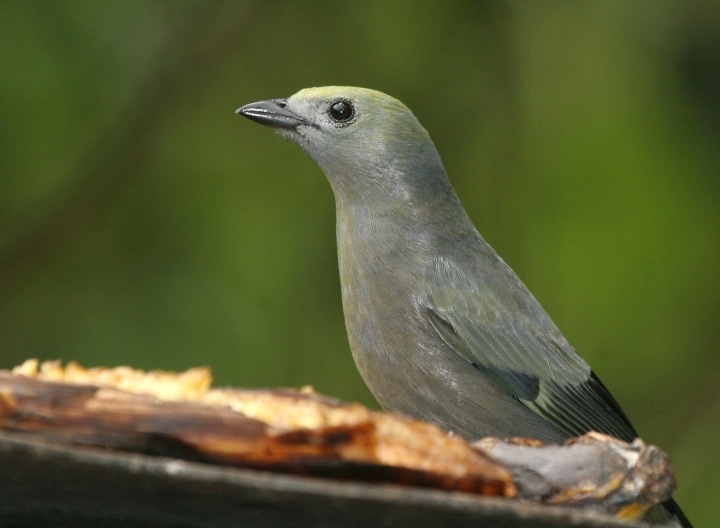 Below: A Palm Tanager near the La Paz waterfalls. 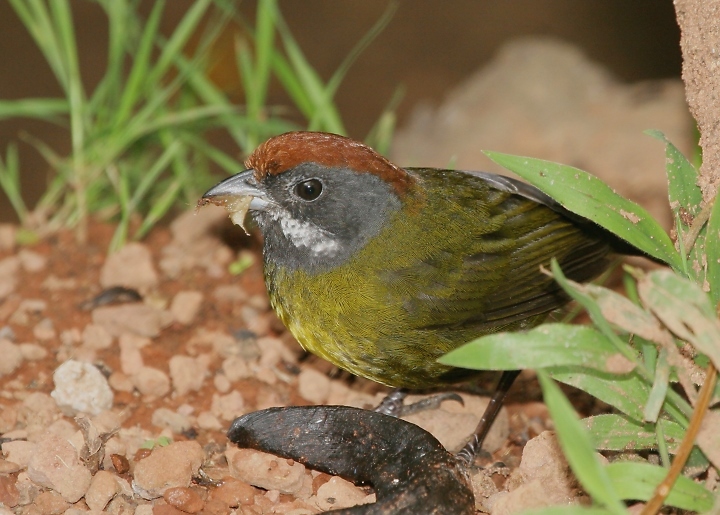 Below: A Sooty-faced Finch feeds on old bananas near La Paz. 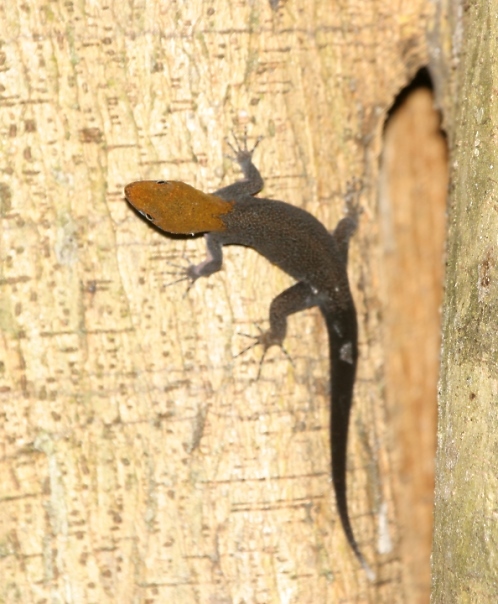 Below: A Yellow-headed Gecko (Gonatodes albogularis) at Carara. 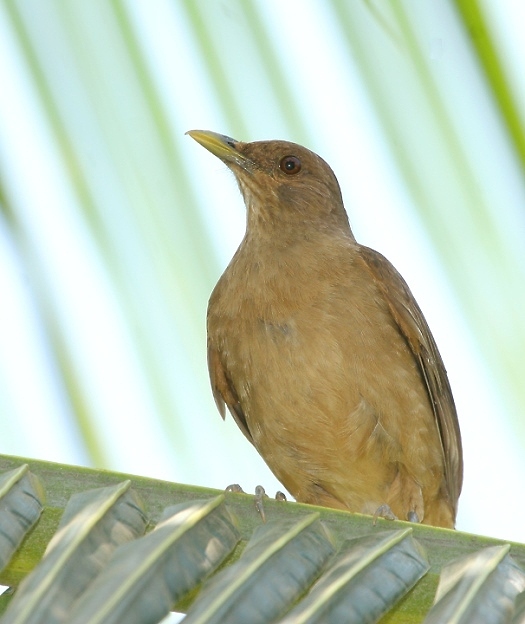 Below: The national bird of Costa Rica, the Clay-colored Robin (photographed in Jaco). 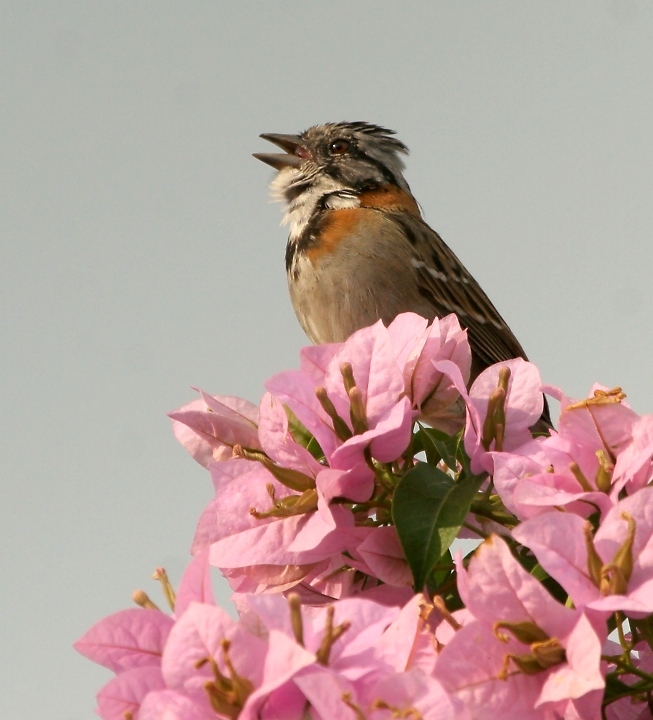 Below: A Rufous-collared Sparrow, the most common and widespread Costa Rican sparrow, sings his heart out at dusk. 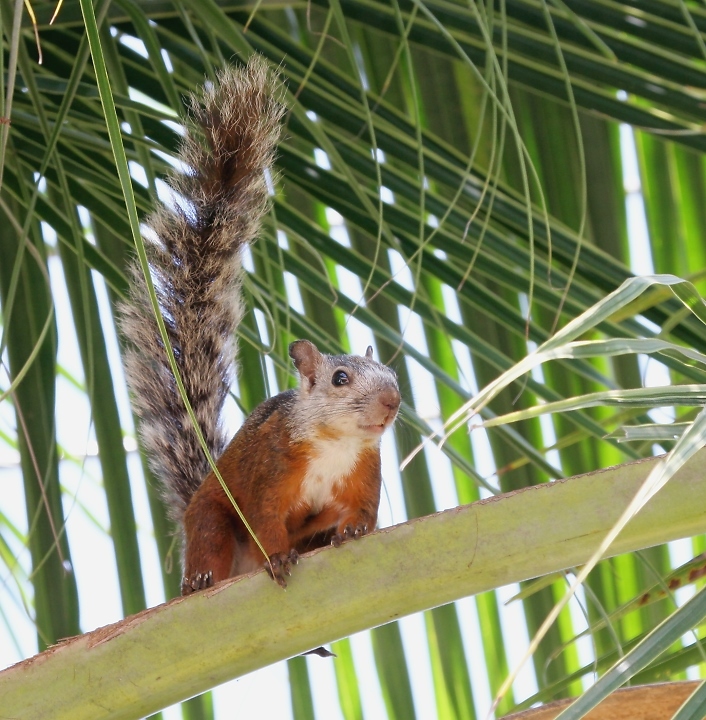 Below: A Variegated Squirrel working its way through the palms in Jaco. 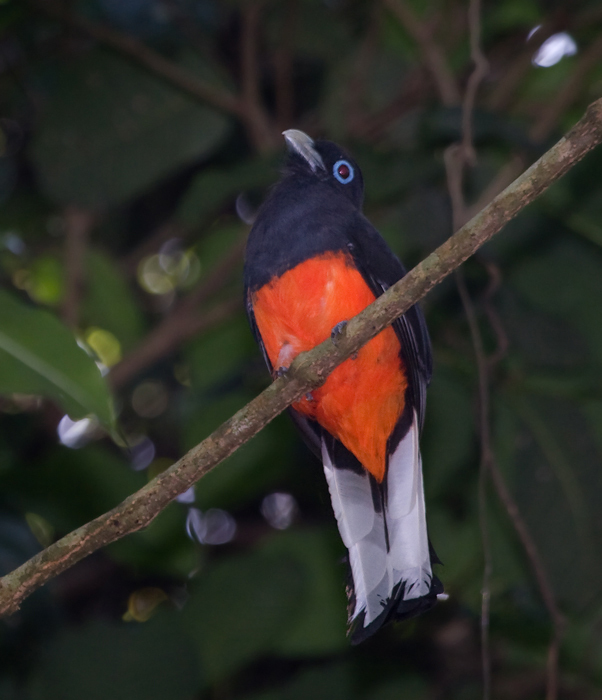 Below: A male Baird's Trogon hunting amidst the canopy at Carara. 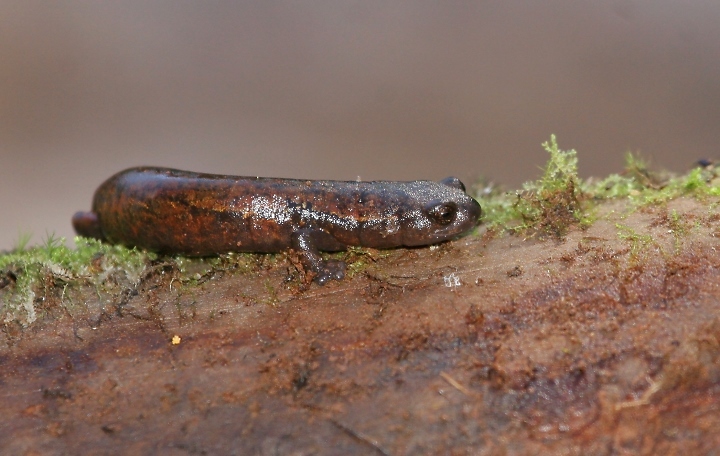 Below: Jim Brighton found this fascinating Mountain Salamander near the crater atop Volcan Poas. 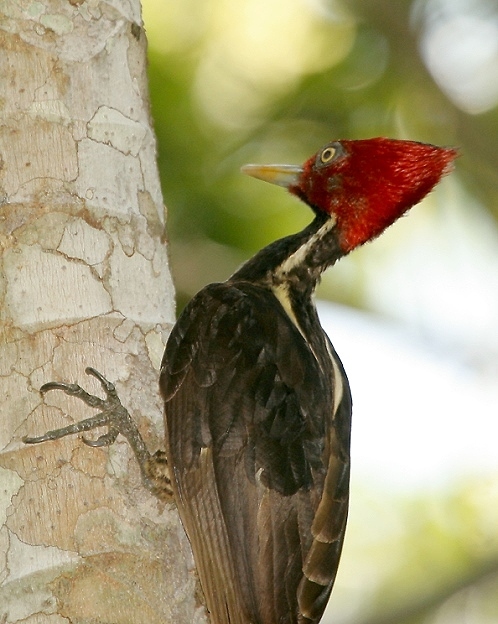 Below: The Pale-billed Woodpecker is a close relative of the famous Ivory-billed Woodpecker. We even got to hear this species doing the classic Campephilus double-knock. 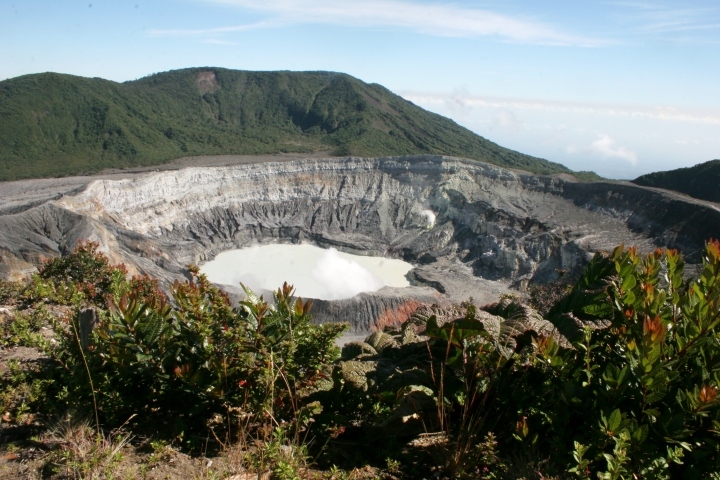 Below: The main crater of Volcan Poas.